Making plans to visit the Lake of the Ozarks is often dependent on the weather forecast. Sometimes that can be difficult because, as the old saying goes, "If you don't like the weather in Missouri... wait a few minutes!" We can have cold winds and ice one day, then warm sunny skies the next. This is never a problem if you want to explore Bridal Cave because it is always a perfect 60 degrees inside the cave. If you want to hike around Thunder Mountain Park, an accurate forecast will come in handy. In the past, getting a weather update for the Lake of the Ozarks has been a challenge. 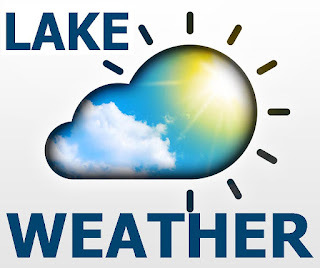 Generally, sources for the forecasts in the Lake area are located at least an hour away. National weather networks can be reporting from much farther than that. 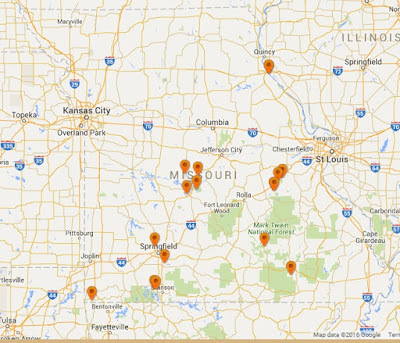 Our state's official nickname is "The Show Me State," but Missouri is also referred to often as "The Cave State" because it contains more caves than any other state. Bridal Cave is only one of many caves found throughout Missouri. 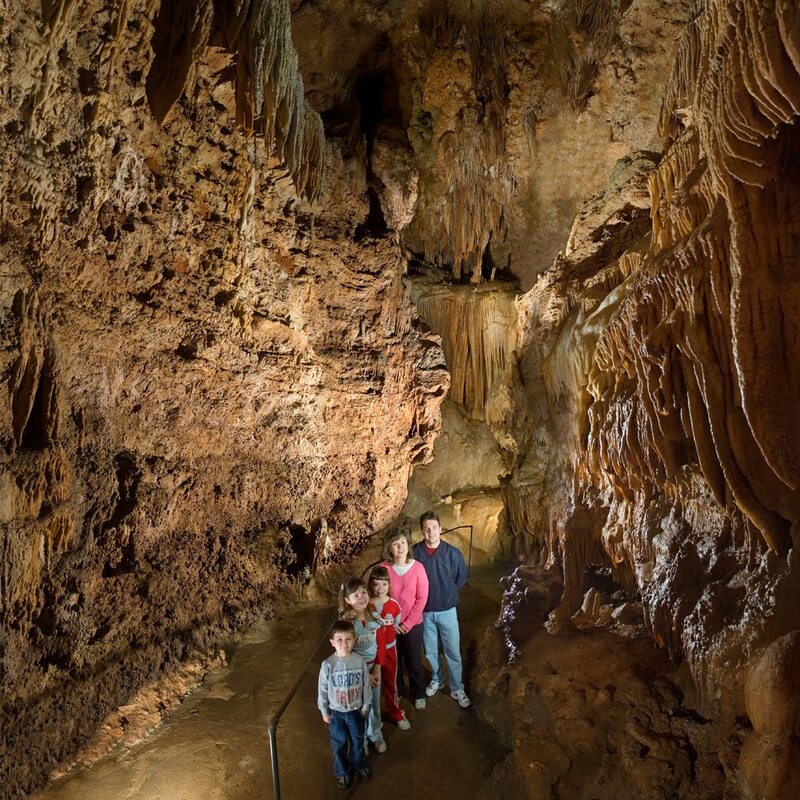 Our Lake of the Ozarks attraction is 1 of 18 Show Caves that are open to the public for tours. In addition to those, there are also 6,950 Wild Caves in Missouri. A Show Cave is a cave that is open to the public for tours. Often they possess features like constructed trails and lighting to make tours easily accessible. Wild Caves are not so easy for the general public to make their way through, and sometimes impossible. Exploring these caves can be extremely dangerous and should only be done by a trained professional. A tour of Bridal Cave is a field trip that is sure to excite any classroom full of students. Missouri is know as the Cave State, and mid-Missouri children are very close to one of the most scenic cave tours in America. No matter what the age, every child should have a chance to experience Bridal Cave and learn more about the magnificent natural wonders contained within. Our tours can be adapted to fit any age group, and every program explores the history, geology, and biology of this very unique ecosystem. Thousands of school age children visit our Lake of the Ozarks attraction every year. The winter months are a great time to schedule a field trip. Kids start to feel cooped up when they get fewer chances to be outdoors during the cold months. 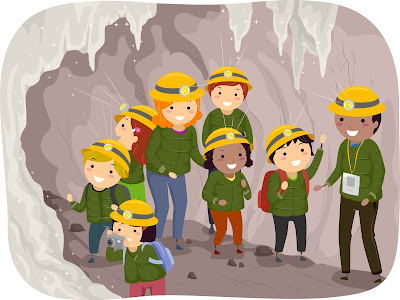 Bridal Cave gives them the chance to get out of the classroom, enjoy nature, and get a little exercise in our constant 60 degree temperatures inside the cave. Stalactites & Stalagmites - Which is Which? Caves in Missouri, as well as around the world, are filled with stalactites and stalagmites. Everyone has heard of these, but most people have trouble remembering which is which. Today's Bridal Cave blog will hopefully help you to remember once and for all which one hangs from the ceiling and which one hangs from the floor. We'll even teach you some interesting facts about how both are formed. There are a couple of different ways that people use to help them keep these two types of formations straight. Stalactites are fixed "tight" to the ceiling, and stalagmites "might" trip you when you walk. Another trick is to use the spelling. 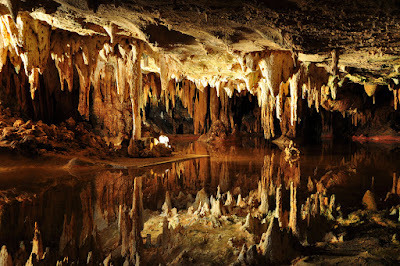 StalaCtite has a "C" like the Ceiling from which it hangs, and stalaGmites have a "G" like the Ground they grow on. You may think these ideas sound corny, but we bet at least one of them will stick with you and you will always remember!